Windows 8 introduces a new way to interact with your lock screen, especially if you walk away and want to keep what you’re doing away from prying eyes. You can change the background, add apps with real-time updates and more to the Windows 8 lock screen. You can easily make the lock screen your own which enhances your experiences when you step away from Windows 8. 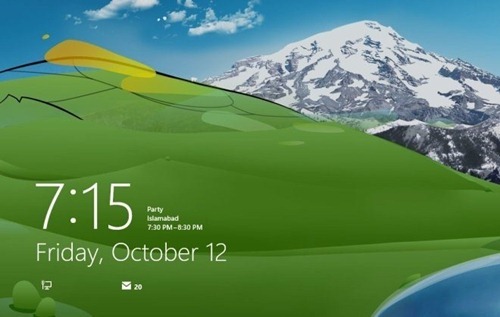 Our guide shows you how to get started customizing the lock screen in Windows 8. Use your keyboard to search through your Windows 8 settings by holding the “Windows Key + W” down. From here, you can change the lock screen, the start screen, and your account picture. Make sure to click Lock screen to get started. The first thing you can change about your lock screen in Windows 8 is the background picture. You can use any of the pre-installed ones provided by Microsoft of your can use your own pictures. Then, select the picture you want to use. Now, you can set it as your lock screen background. The next section you can customize is the apps it displays. As long as you have an app that can be displayed on the lock screen, you can add it. 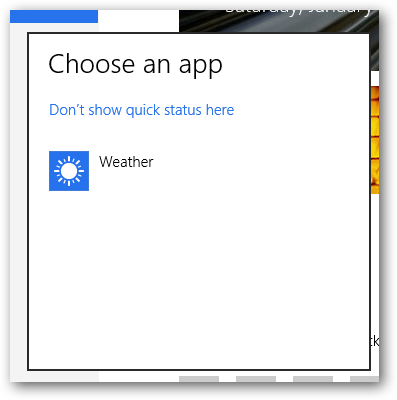 There are two ways to display apps: Quick status and detailed status. Quick status is just the basic notifications, such as if you have a new instant message or e-mail. Detailed status gives you additional information, such as a preview of an instant message or e-mail. You can only add one detailed display at a time on your lock screen and up to seven quick status ones. Click on a quick status “Plus sign” icon. You can then choose the app you want to display on your lock screen. The more apps you install that offer this feature, the more you can add. 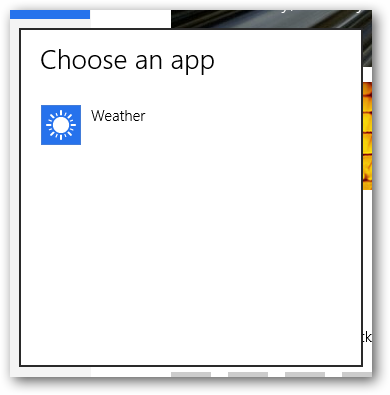 Not all apps offer it, but most of the Microsoft-based ones do. Click on the app to add it. You can click on the added app to delete it from your lock screen from here as well. Now, you’ve customized your lock screen in Windows 8. 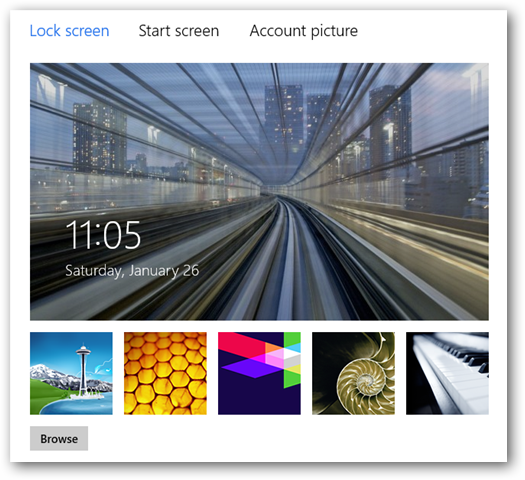 Why should you customize your lock screen in Windows 8? 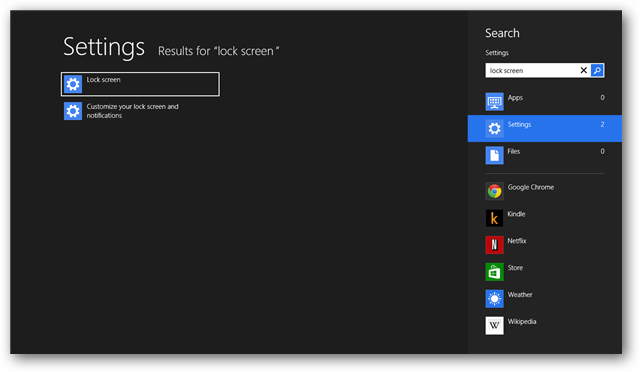 By customizing your lock screen in Windows 8, you make your computer a little bit more your own. At home, this can truly say, this is my computer. At work, you can make your computers look a bit more professional by utilizing the same type of lock screen for your business. No matter what the reason, customizing your lock screen is another great way to make Windows 8 feel a bit more like home. Previous articleWhat’s the Difference Between Windows 8 Versions?